We are one of the eminent names of the market engaged in offering a high quality range of Ventilation & Exhaust Systems in the market. Our range of Ventilation & Exhaust Systems is designed as per the clients' requirements, which helps us in gaining the trust and confidence of our clients. Moreover, these systems are ideally installed in the kitchens of hotel, restaurants, homes and others. In our range, we offer Kitchen Ventilation, Kitchen Exhaust Systems and Fresh Air Ventilation Systems. We are one of the renowned names of the industry engaged in offering excellent Fresh Air Ventilation System to the customers. These systems are widely used in different plants, kitchens, industrial areas and others. Our range of systems is used in de-humid conditions. 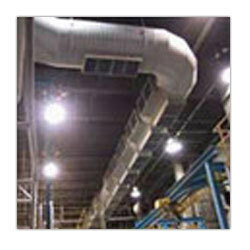 Moreover, these systems provide fresh air by grills, blowers and ducting. 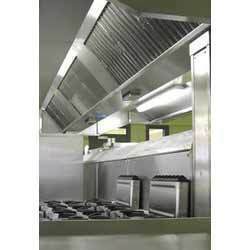 We are instrumental in offering genuine quality Kitchen Exhaust System to the customers at industry leading prices. These systems are manufactured using superior quality raw material and by employing latest facilities. Moreover, we make available these systems to the clients in a variety of specifications to meet their specific needs in the best possible manner. We are engaged in offering excellent Kitchen Ventilation to the customers, as per their specific requirements. 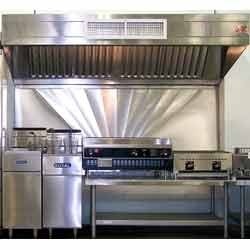 These systems help in keeping the kitchens free from the steam or vapours produced during the process of cooking. In order to offer a flawless range of products to the clients, we check the products on certain well-defined parameters to gauge their flawless nature. Looking for Ventilation & Exhaust Systems ?